Weekend Fun in Vancouver, Canada..
Last weekend, I decided to take a trip north past the Washington U.S. border, and visit Vancouver, British Columbia (and Canada) for the first time. The reason being, to satisfy my long-time curiosity on what that big city is like. I have heard much from passing travelers through the PNW on that city beyond the border. By much, I only heard it was. Much on the high rises, nightlife, booze, hockey cheering, food variety, expensive living and real estate. 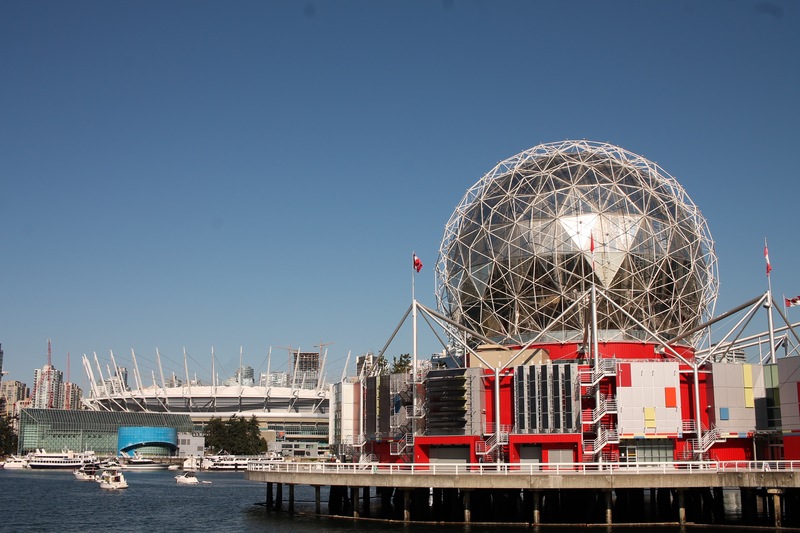 But having visited Vancouver, I have to say it was all so much more than such simple opinions. 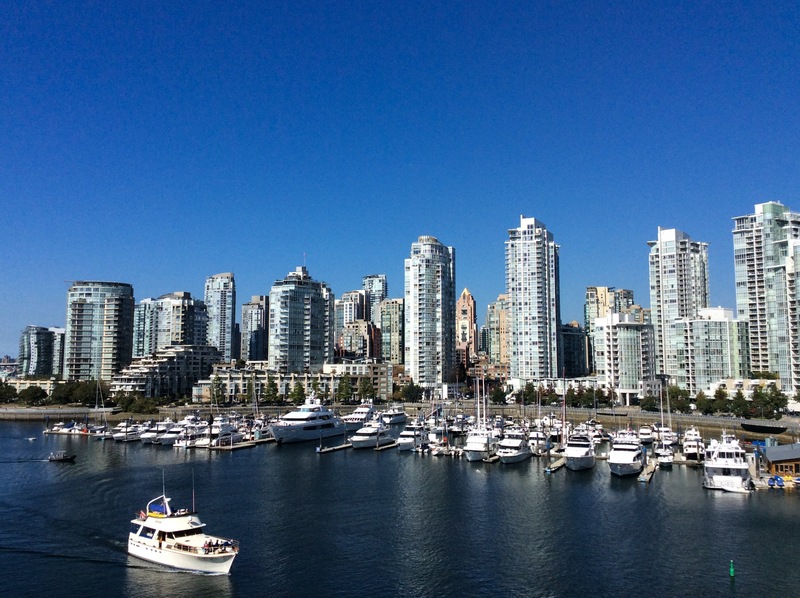 Vancouver is a grand city, that went beyond my expectations. The central area is not enough to explore on a mere weekend. So, I took my time and savored select things and spent time with some friends for a lunch and dinner. For the remainder time, I kept to myself and walked around. 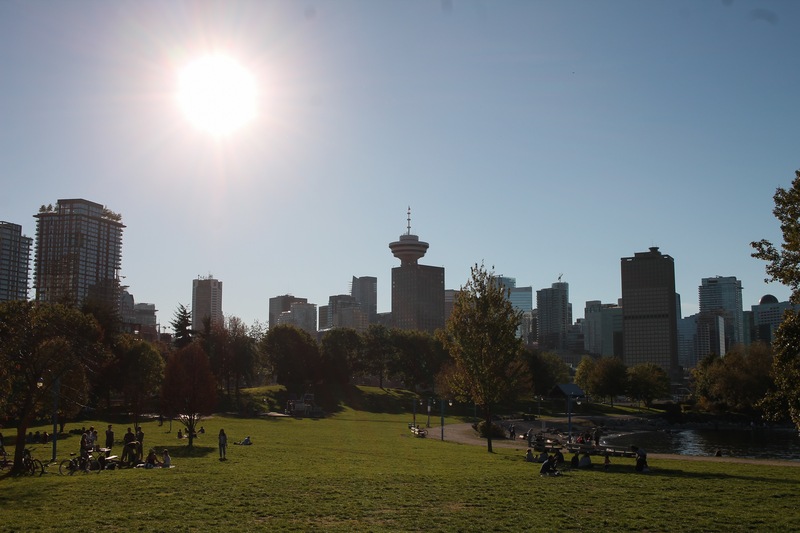 By the end, I can not close or sum up on how wonderful I think the Vancouver central area is. This must be done through repeat visits, and excessive time spent. 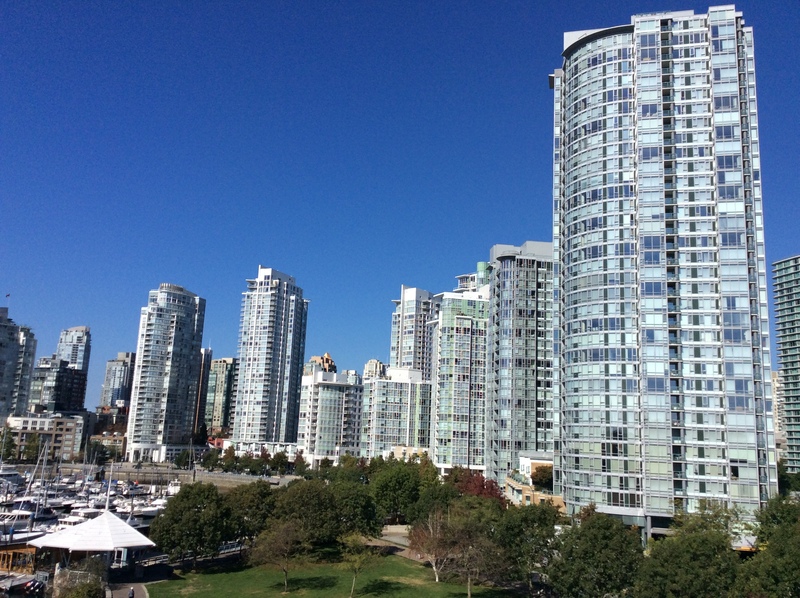 But for now, I share my pictures and notes below of select moments in my first (of many) Vancouver visit to come. The first large notable structures I noticed while walking towards downtown.. The Science World Center. If I had the time, I would have went inside and checked this out, as I like big science center things. Also, the big stadium in the back looks fantastic under the bright blue sky. Science and sports, so far so good. 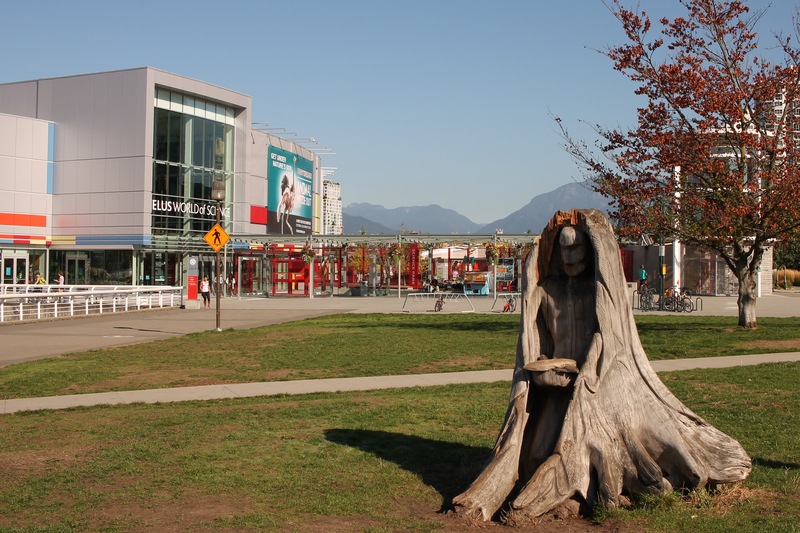 I noticed many fantastic creative works of art spread about around the long walking paths along the False Creek inlet. On my next visit, I will focus on some particular works and uncover some detailed info on them. Enter the city, after a long walk around and across a bridge. Sorry for the lopsided picture. I was too over-excited and forgot to change the lens and settings. 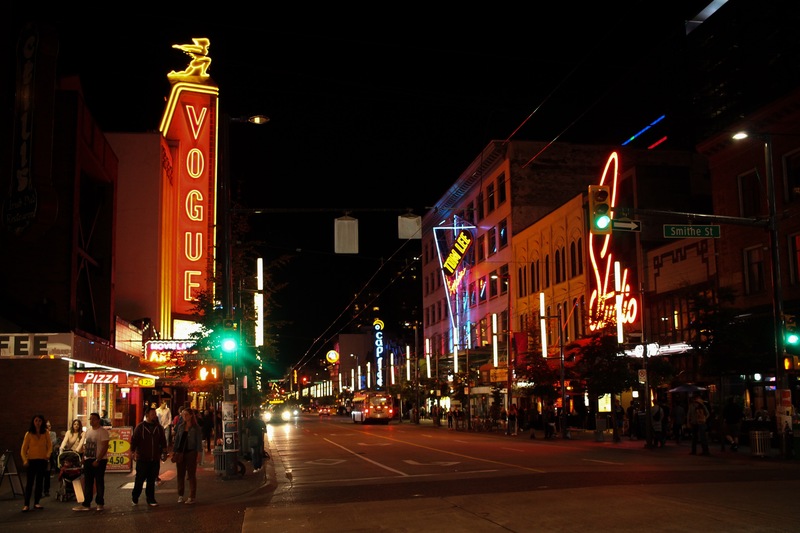 My first destination was Granville street, and lunch with an old friend. It’s a great row for shopping and browsing through random shops, as I went through many. 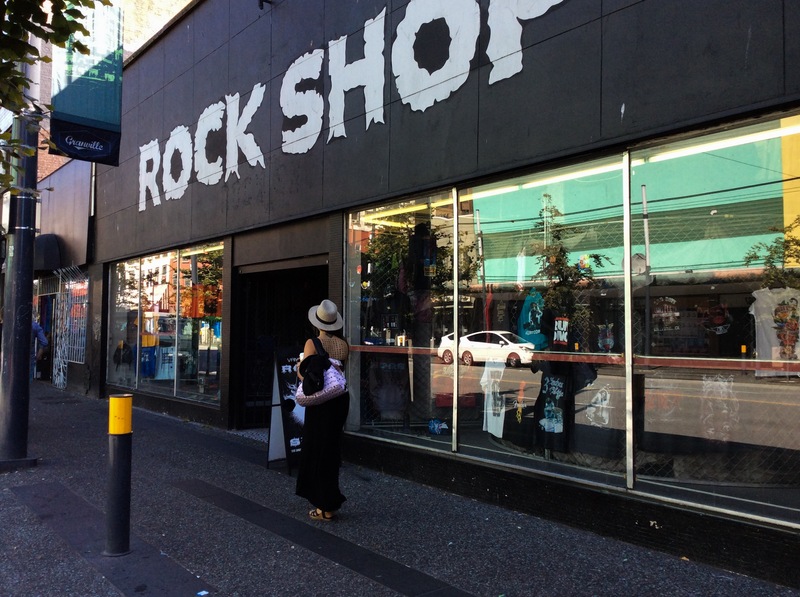 An awesome favorite place I went, the Rock Shop. 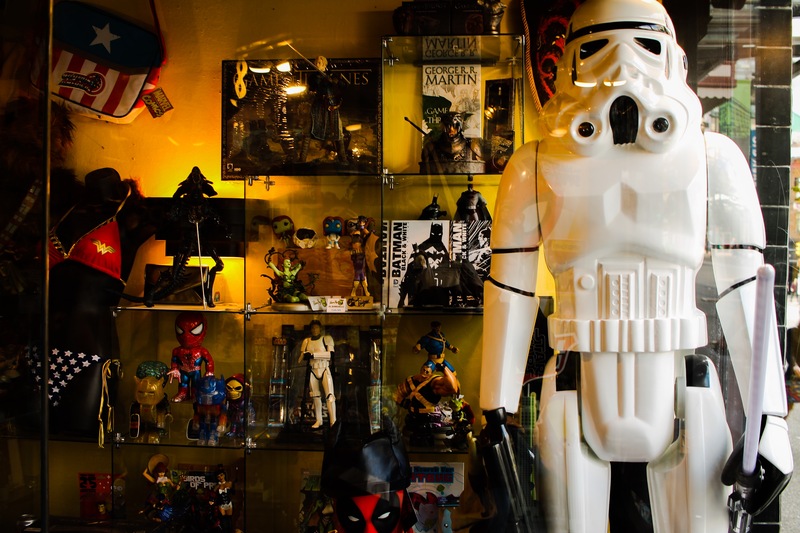 It’s a fantastic store for various old and new pop-culture related apparel and novelty items. I bought an awesome Hulk (classic Marvel look) cup from there. Inside The Factory, on Granville. 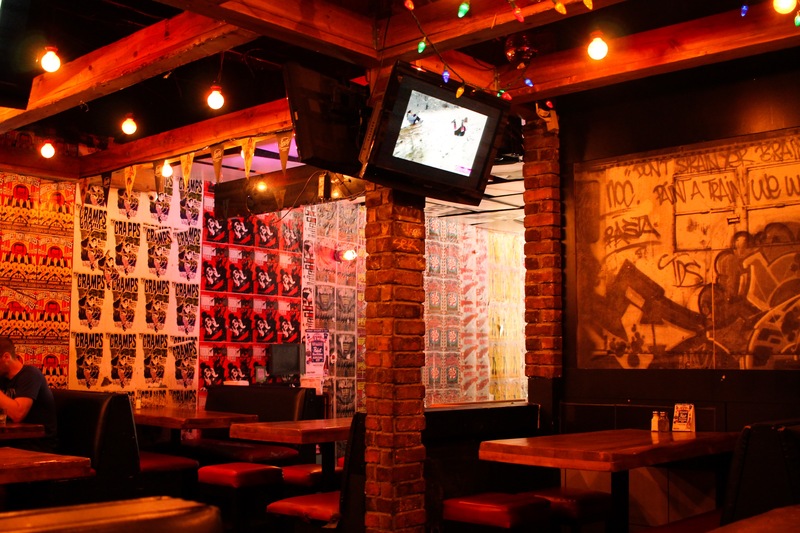 A small little bar where each food item on the menu is $4.95 (Canadian dollar). I noticed other places with a similar structure. I really liked that idea, and wish more places would try that. As for this place, I liked the service and the food (had a quesadilla plate with dipping sauces). The front display of Golden Age Collectibles on Granville street, a highly recommended comic book and collectible store for those into that. Later on, I relaxed at the Vancouver Central Library Branch, while giving my phone a much needed charge. Love the architecture here.. 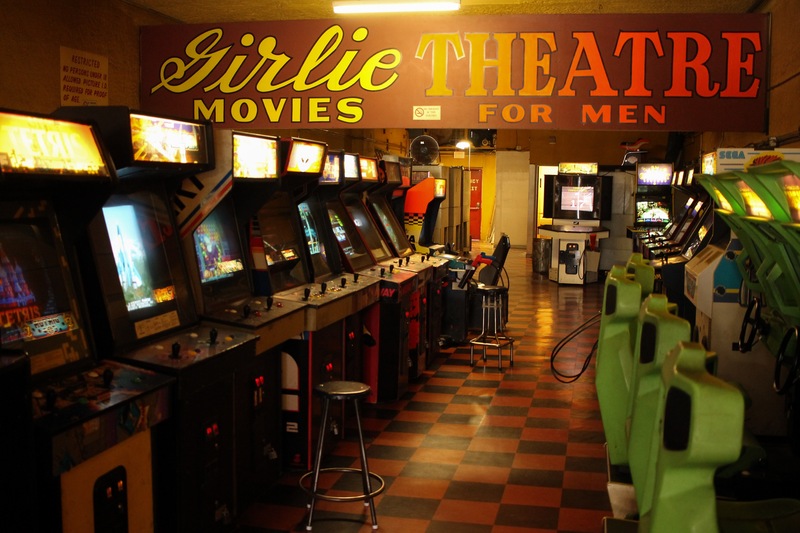 I was quite thrilled to find the Movieland Video Arcade on Granville street. It seemed refashioned after an adult X-rated spot. What seemed odd, was the place being still for 18 years or older. All I really noticed was this selection of game machines, many of which i enjoyed when I was a kid hanging out at old video arcades. 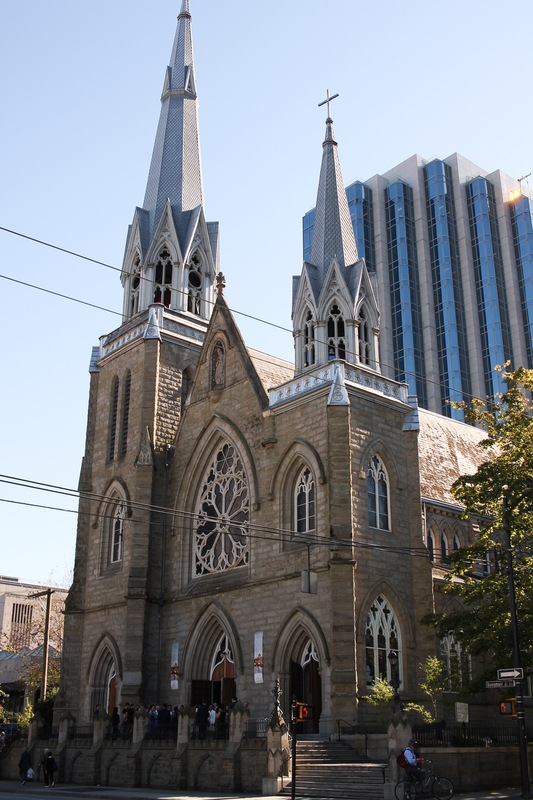 The Holy Rosary Cathedral. It’s an awesome building, where I think a wedding reception took place at the time of my passing by. 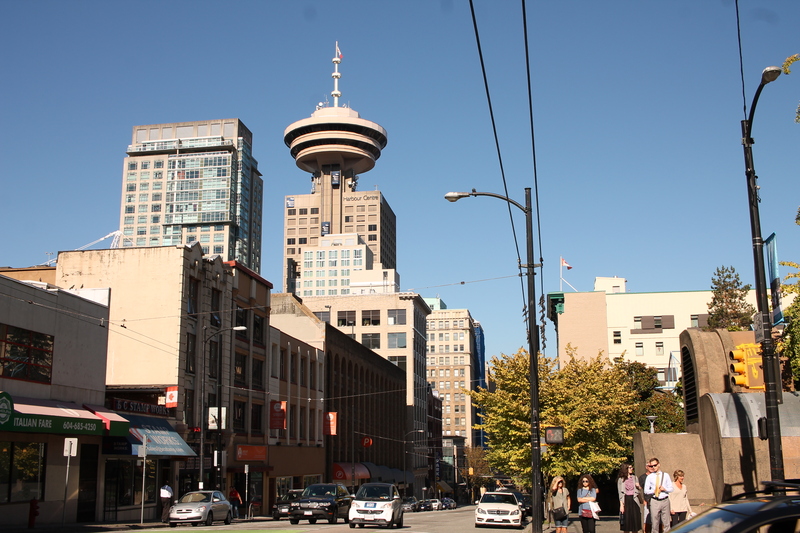 The Harbour Centre Building is the closest Vancouver has to Seattle’s Space Needle. It looks grand from afar. From up close, not so much. I think I am too used to seeing the Seattle one. 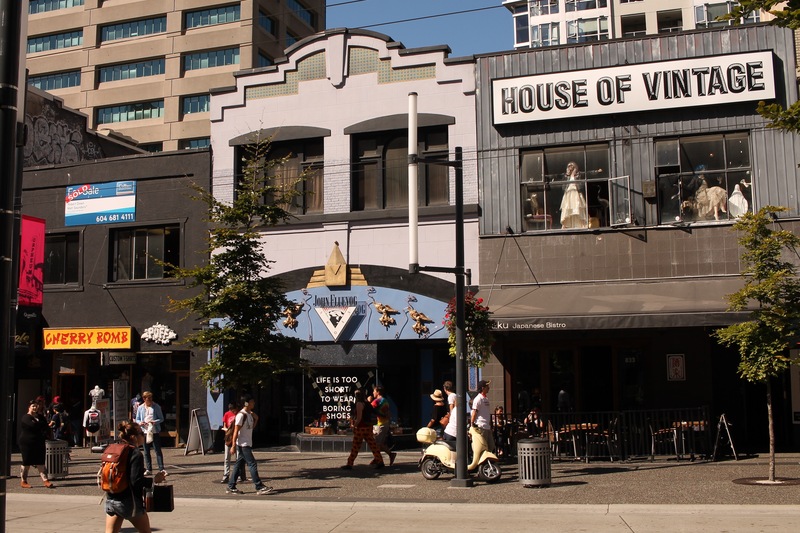 Here is a place for all book lovers to visit in central Vancouver, Macleod’s Books. 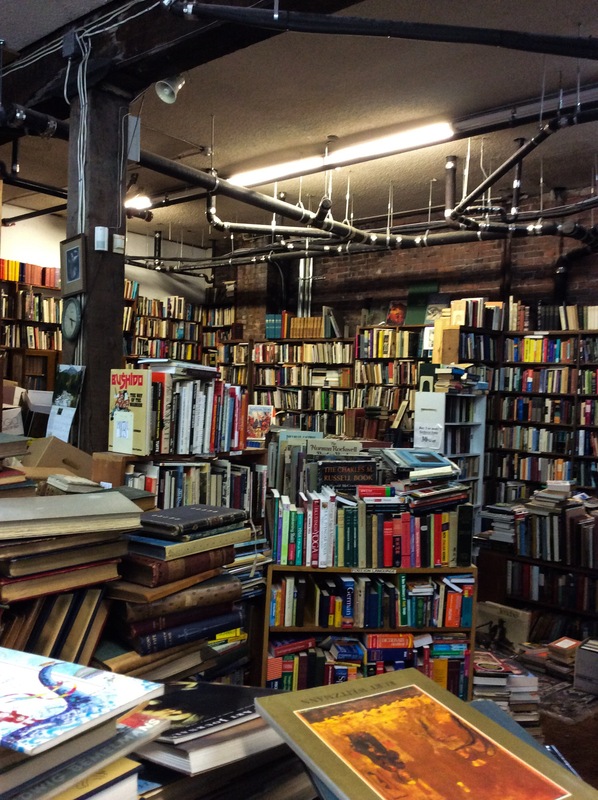 This is an amazing used bookstore, where much buried treasure is likely under the overflow stacks throughout. I took out some interesting reference books and paperbacks. I have much to say and share on this store, which I will save for a future posting. 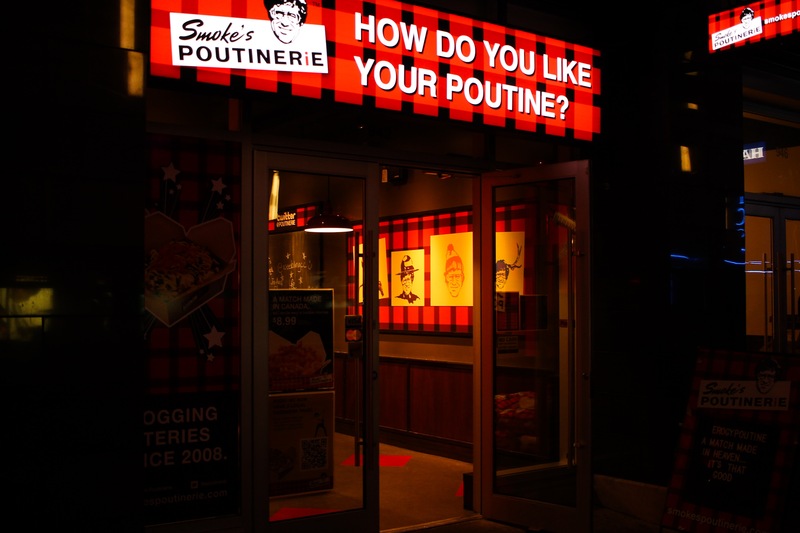 At the end of the day before dinner with another friend, at Crab Park..
Later in the night, I tried some poutine; a popular dish to Canadian folk containing fries, cheese curds, and gravy. It was good. One last picture, before some boozing with a new friend I met earlier. Overall, a great trip and not nearly as expensive as I thought (considering the exchange rate between the US and Canadian dollar). The weather started sunny, ended run on my departure the next day. Next time, I plan to explore the city and surrounding areas much more, as I live about four hours driving distance away. Posted on September 20, 2015 by Orion T.	This entry was posted in Travel and tagged adventures, british columbia, canada, citylife, exploration, travel, Vancouver. Bookmark the permalink. ← Picture of Today 9/19/15, Motorbikings..